My love for animals sparked at an early age. By 12 years old, I had already learned to rehabilitate injured wildlife and volunteered at the local animal rescue. Since then I have worked with a variety of pet species, both domesticated and exotic. My educational and career paths depict this passion for animals. I obtained a degree with honors in Biology and Biology Education within my home state of North Carolina. The degree provided a strong background in physical sciences and solid foundation from which to build. Subsequently, I obtained a second degree at Oregon State University in Fisheries and Wildlife Sciences, also with honors. There I specialized in large mammal ecology and conservation biology with emphasis on population dynamics and genetics. I spent hundreds of hours researching Yellowstone’s gray wolf packs, the controversial red wolf, the near-extinct vaquita porpoise, and elusive okapi. 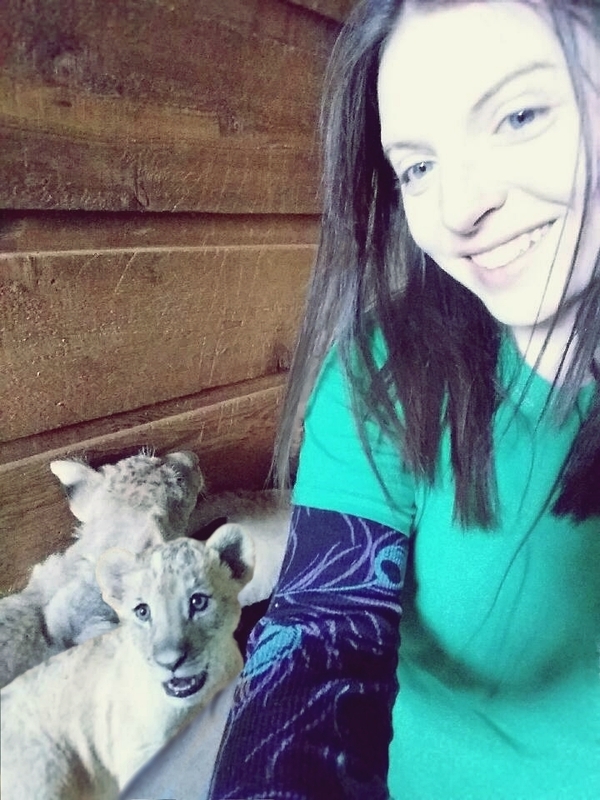 In recent years, my experience at less conventional rehab and conservation centers granted me the opportunity to care for large carnivores and primates. I am fortunate to have worked with some of the rarest and most endangered animals on the planet including Timbavati lions, golden tabby Bengal tigers, and Syrian brown bears, as well as primates like baboons and black-crested gibbons. I grew up loving dogs and even as a child do not remember a time without atleast one running around the house. We owned many bully breeds throughout my childhood, most notable were a pair of American bulldogs. Their loyal and friendly nature were the epitome of what I still observe in bully breeds today. My grandfather devoted himself to weimaraners for many years, exhibiting and breeding in Germany until moving back to the states. Similarly, my mother and her siblings always favored this large hunting breed. But, even though I have owned a couple myself, I am incomplete without a bully causing mischief in my life. To date, it has been 17 years since I bred my first litter. It all started with American pitbull terriers and Staffordshire terriers, and a litter of eleven healthy pups. Later on, however, one of my beloved studs died unexpectedly. At that point I elected to stop breeding for quite a while. A couple years later I stumbled across the bull terrier, which was too large and required more space than I had available at the time. From that moment on, I wanted to know everything about the breed. I read historical accounts, talked to breeders, spent hours each day tracking pedigrees, and researched every aspect of the bull terrier I could find. Yet again, fortune smiled upon me once more when I finally acquired my first bull terrier. A miniature. And I never looked back.